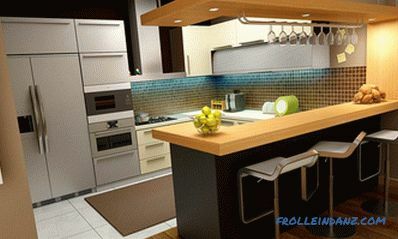 The joy of buying a new apartment can be darkened only by the thought of the upcoming renovation. Rare luck falls to those new settlers whose long-awaited housing received in the new building has no major drawbacks, and therefore it is planned only to carry out a light redecoration. The most common sight is a concrete box, the walls and the floor of which do not require the use of special tools to identify irregularities - distortions and bumps are visible to the naked eye. The first thought that arises from the owner at the sight of the upcoming work front is the search for a good and non-drinking construction team to bring the apartment into a decent look. But in most cases, it rests on the analysis of the family budget, and as a result, the decision is made to make repairs in the new building on their own. In addition to serious savings, this leads to a significantly higher quality of work performed and saves a fair amount of nerve cells and time spent communicating with hired builders. 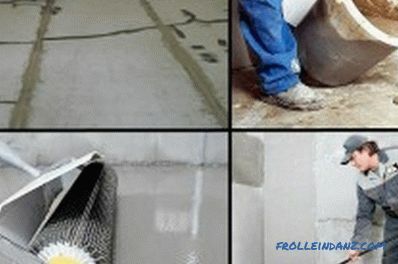 Various options for dry screed. Repair in a new building is best done in stages, performing each type of work at the same time in all areas of the apartment. Before you level the floor, you need to assess the situation to identify its main shortcomings. Modern flooring finishes are very capricious with regard to the requirements for evenness of the rough base. 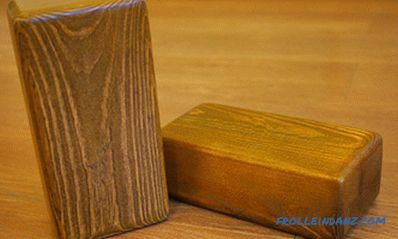 Lay laminate or floorboard can be only on the base with minimal deviations of the horizontal surface, therefore, in the first stage should make its examination. To do this, you need a laser or a normal building level and a tape measure. Measurements should be made every 2 meters in the transverse and longitudinal directions. The ideal indicators would be deviations not exceeding 2-3 mm per 2 running meters of area, but such indicators for the floor in a new building are a rarity. 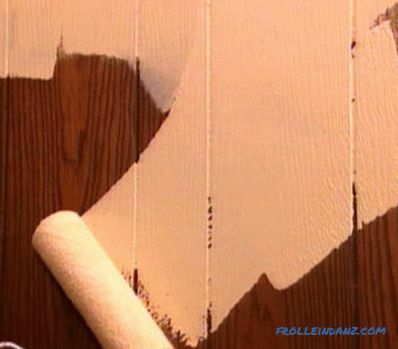 In case of serious changes in the level, a possible way to remedy the situation would be to hold a cement floor screed, but there are other ways to qualitatively prepare the base for laying the finishing decorative coating. This old proven option is less laborious and long compared to the tedious process of screed, and has another serious advantage: this method of alignment contributes to excellent ventilation, especially when laying laminate flooring or floorboard. The base is leveled using lag at one of the last stages of repair, when all work on the ceiling and walls has been completed. In this case, much attention is paid to the quality of the wood used, the humidity of which should not exceed 19%. Otherwise, negative processes may occur, which may lead to material deformation due to shrinkage at room temperature. 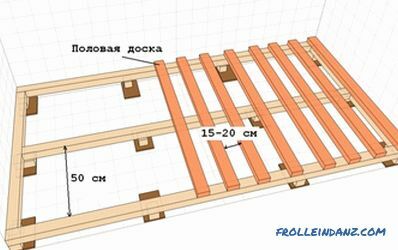 It is necessary to pre-treat all wooden parts with an antiseptic, which will protect the wood from rotting and damage by fungal microorganisms. The steps to fill the floor. When inspecting the surface of the floor, cracks and dents are most likely to be found, especially at the points of contact with the walls. This is due to the shrinkage process that occurs in all new buildings. In this case, the geometry of the building changes, which leads to violations of the integrity and level of the concrete base. Major damage should be sealed with cement mortar and wait for the composition to dry completely. Before embarking on the main process, it is necessary to provide for laying channels for electrical wiring or other related work, which must be completed in advance and are necessary when carrying out repairs in a new building. Insulating material must be laid between the base of the floor and the cement layer. 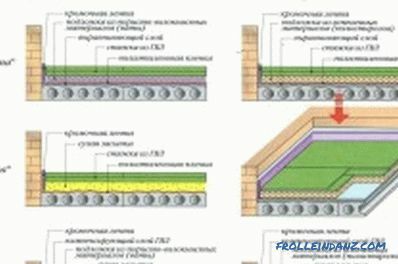 Usually, polystyrene foam is used for this purpose, which at the same time serves as insulation, but ordinary thick polyethylene or roofing felt can be used. Before the start of installation, beacons with a focus on the zero mark set using the level are installed at a distance of 0.2 m. Logs are wooden blocks that are laid on the base. In those places where there are large differences in height, under them set the columns of different heights, adjusting the level of gaskets. Between the walls and the subfloor, be sure to leave a gap of 1-2 cm for the free deformation of the material. Installation steps for adjustable floor leveling lag. The floor screed can be plaster, expanded clay, or made from ready-made commercial compositions (self-leveling compounds) that are commercially available.But the most profitable and common material for its implementation - a mixture of sand and cement in the ratio of 1: 3. This option will be the most economical to clean up the floors in the new building. 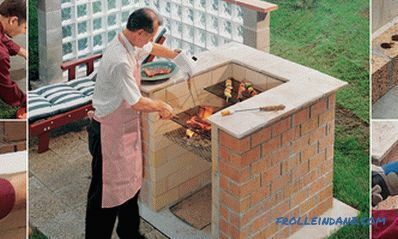 The only condition is that the cement must be of good quality and have a high grade. To strengthen the solution, you can add plasticizers in the form of lime or tile glue. A layer of sand or fine crushed stone is laid on the pre-laid insulation as a base. Then, in the corners of the room, they place beacons, along which the floor will be leveled, between which they stretch a cord or a fishing line. 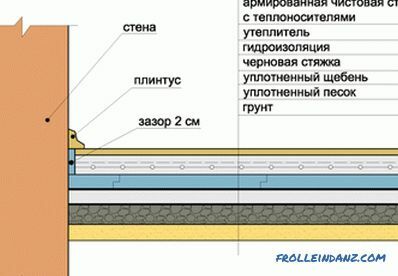 Along the perimeter of the room to a height of 15 cm from the base of the wall are processed with bitumen or special tape to create a waterproofing. The thickness of the screed should not be less than 4 mm, but it is also not necessary to lay a layer that is too thick, since it will crack during the drying process. Work should start from the opposite corner of the room door. The mortar is laid with a construction trowel, trying to level the layer with the level marked by lighthouses. Moisture evaporation during the drying of the cement-sand screed can be made more uniform by covering the surface with a layer of plastic film. 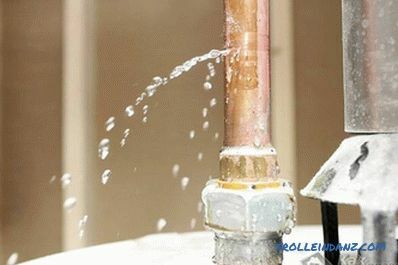 For three days, periodically it is necessary to remove the film and splash the cement layer with water, otherwise cracks will form. 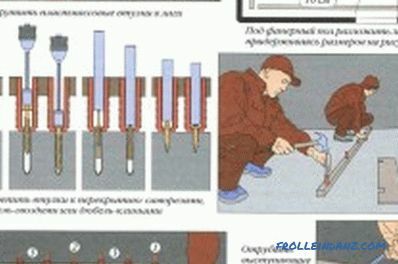 Then you can remove the beacons and seal the holes with cement mortar. The surface is covered with a film again, a layer of wet sand is poured on top, which must be moistened for 10 more days. 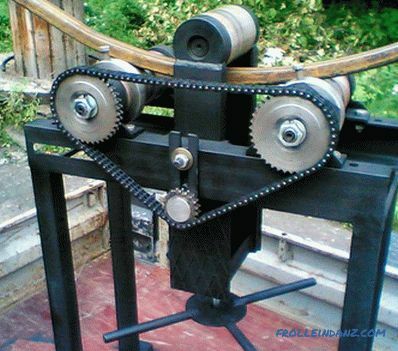 Do-it-yourself wooden bricks: can it be made?